Explore the best of Egypt's historical and tourist sites in one trip and in budget price with tour see the pyramids, Cairo, Luxor, Aswan, Dahab ,st.catherine and more. After breakfast meet our tour guide (who has a valid license) in your hotel at 8 am, then you will be transferred to Memphis museum where you will see the colossi of king Ramses the 2nd and the ruins of this ancient capital of Egypt ,then to Sakkara to see the steps pyramid and the oldest funerary complex surrounding it .You will have a lunch break then on the way to Giza there is a short stop at one of the papyrus factories to see in front of your eyes how the ancient Egyptians used to manufacture it, then you will move to Giza plateau to see the famous three pyramids of Cheops, Chephren ,and Mycerinus, and afterwards, the great sphinx. The last stop in the tour will be in your way back to the hotel , you will stop at another factory of the flowers pure extracts and the plow oriental chaps glasses ., then move to the train station and overnight in the train. Morning visit to the dual temple of Sobek and Haroeris in Comombu, and then we drive to Edfu to visit the most well-preserved temple in all of Egypt -- dedicated to Horus, the Falcon God, and then back to the cruise sailing on the way to Luxor. Free evening at leisure and overnight we will travel by train back to Cairo. After breakfast meet our tour guide (who has a valid license) in your hotel at 8am,drive to the citadel of Saladin to see the ancient walls and towers dates back to 1171 AD ,and the famous mosque of Mohamed Ali, the most famous mosque in Cairo sky line .Then you will move to the religious community (old Cairo ) to see the Hanging church ,the ruins of the roman fortress ,the synagogue of Ben Ezra ,and Amr Ibn EL-AAS mosque, the first mosque which was built in Egypt 642A.D.You will have a lunch break ,and then you will move to the Egyptian museum to see the fabulous collection of king TUT and much more from our ancient Egyptian antiquities. 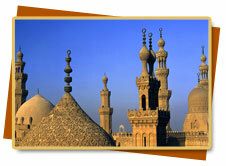 Finally, Free evening and overnight in Cairo. Day9 : Dahab "Blue Hole"
Visit the best site in DAHAB where you can swim or snorkel in the BLUE HALLE, then back to the hotel and free afternoon. lately at night drive to Moses Mountain and start to climb to the peak till you reach it at sunrise. After sunrise, we descend the mountain and visit St. Catherine's Monastery. Free afternoon and. Overnight in Dahab. 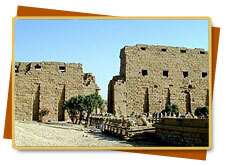 After an early morning drive towards the north, you will take a 2-hour camel ride to Ras Abu-Galoum. Here you will marvel at the coral reefs while swimming or snorkeling. 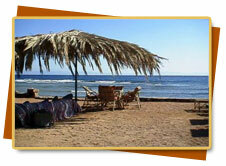 Finally, Overnight in Dahab. This morning, catch the bus back to Cairo. 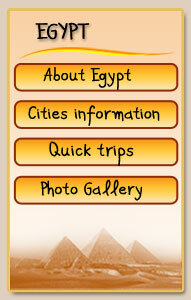 Arrive in Cairo, move to the hotel for check-in. In the evening, we'll take you to the interesting Nile cruise dinner for an open buffet dinner accompanied by a folkloric Sufi (“whirling dervish”) and belly-dancing show. Finally, Overnight in Cairo hotel. Farewell to Egypt today. Our tour ends after breakfast. Transfer to Cairo International Airport. Farewell Egypt today. Our tour ends after breakfast. Transfer to Cairo International Airport. 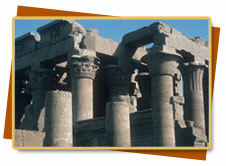 Optional day-trip to Abu Simbel can be added to this program, upon request. Additional accommodation nights can be arranged upon request. Single travelers will be charged for an additional 20% as a single supplement.